Tokyo Disneyland Has Coke-Flavored Hot Dogs? Kind Of! This might look like a regular hot dog. It’s not. This is a Coca-Cola flavored pulled pork hot dog. But don’t get too excited just yet! The hell does that taste like? 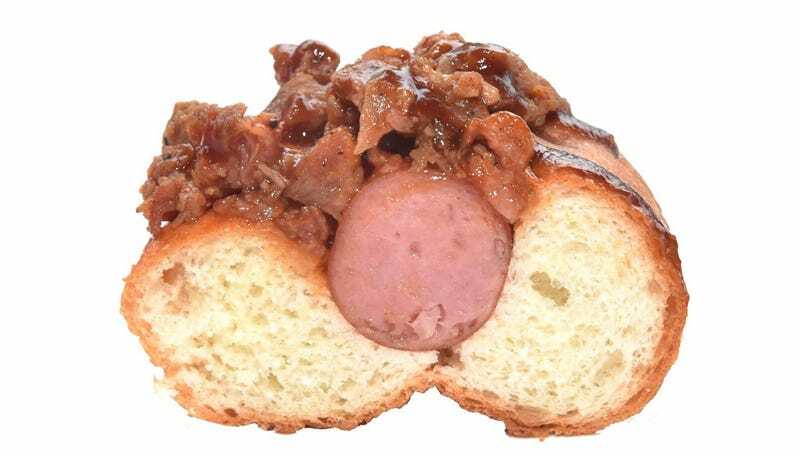 Many of the people on Twitter who have ordered the hot dog at Japan’s Magic Kingdom weren’t exactly sure what it was supposed to taste like but said that it didn’t taste like Coke. I’m trying to imagine what a Coke hot dog would taste like. Nope. Coming up with nothing. That’s because...Website MezzoMikie clarifies that the pulled pork is cooked with cola to sweeten it. I’ve cooked lots of meat with cola, and I can attest that it works very well in softening and sweetening meat. No wonder many people did say it was delicious! Just don’t go expecting this hot dog meal to taste like a can of Coke. It won’t.